Not in Springfield or near a radio? Stream live here. April 8th, 2016: After over three years of hosting The Black Sheep Radio Show, Brandon is stepping down as he is leaving town and moving to Pittsburg. Brian + Mike + Nick are taking over for now until we figure out who our permanent host or hosts will be. The show is also moved into an actual LIVE mode as we enter our “third season”. 529-03128 is our in-studio phone number. June 23rd, 2013: We are all caught up with downloadable episodes! We also now have the episodes labeled above as the date they aired and also who our guests were that week. For most of the later episodes, you should also be able to click on the link and stream the episode directly from Mediafire. March 8th, 2013: So we decided that we want the shows to be streamable when they air live. There is a small kink in this plan. Due to dumb Soundcloud issues, we are only on Show #6. That means we’re going to have to cut the streaming of the upcoming shows a little short. Since the stream time will be less, all the downloads up to Show #9 will be available tonight. I am hoping to get it so everything is set up that Show #12 will be streamable the day it airs. February 27th, 2013: We now have a Facebook page! Go like to stay up-to-date with all the news! January 15th, 2013: The show has aired and is going swimmingly! Though we are still experimenting with format and segments, we are excited about the outcome of the last two shows. There are many of great things planned. The future’s so bright, you gotta wear shades. If you have any cool ideas, be sure to email them to blacksheepspringfield@gmail.com. 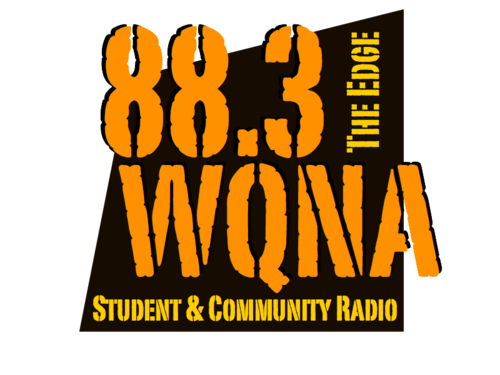 November 16th, 2012: After meeting with the director of WQNA 88.3 fm we are VERY excited to announce that Black Sheep will be hosting our very own radio show sometime in the near future on WQNA. The focus of the show will be local music. Some of the kinks are still being worked out, but we do know that we will be featuring band interviews, live recordings of shows, and much more. There is some very exciting stuff in store for us in the future. We will keep you all updated on the show, and let you know when it will be aired when we can. Like times in the past with Black Sheep when an opportunity arises for us to do something new, we do it. If you wait too long to act nothing will happen. We are excited to do something completley new for us and that is radio. We are excited to work with WQNA and we are excited for the future. DIY till’ we die. And if you want to be super helpful in helping us collect local music, let us know which of your songs are and are not radio friendly. We want to build an archive of all the local music we can get, and it will be helpful to know which songs we can play on the radio right away and which will need some editing later on. The more music we have, the easier it is to make great shows. So please, send a way! Thank you for your help! Any idea when we might get shows to download after #10?? Soon! We’ve started a new process, and we will have all the shows up once we get everything ironed out. More episodes please you weasel maggot magnets!